T.S.P.G. is a boutique of former executives from a variety of industries that is committed to helping organizations reach their next level of performance. We have walked in your shoes. We are not academics. Our team has over 100 years of experience, most of it in senior executive positions, and this leads us to believe that the knowledge experts about your business already work for you and that we add value because of our wide-ranging knowledge, proven processes, good techniques and because we bring an objective perspective to your business to help you face new challenges. 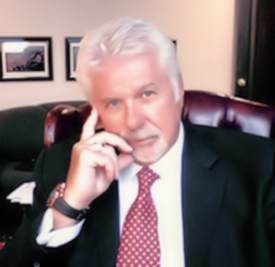 Dobri is a senior executive with over 35 years of experience in strategic planning, marketing and sales, and service quality in Canada and the U.S. Over his career, he has focused on building new business models, thinking creatively about delivering competitive advantage, building effective strategic plans, developing lines of business all over North America for blue chip organizations. 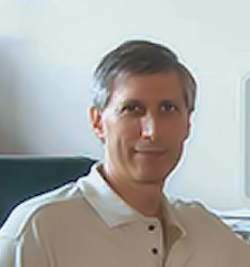 Dobri was formerly Senior Vice President, and Chief Marketing Officer with Bank of Montreal and Senior Vice President, Corporate Planning and Development with Aetna Canada. He also has been Executive Vice President with a U.S. savings bank. He founded The Strategic Planning Group in 1992 and currently specializes in helping companies realize their full business potential. The processes that T.S.P.G. uses are based on participation and an inclusive methodologies. He believes that the people who have to develop and implement strategy should be part of creating it. Dobri was an Adjunct Professor of Marketing at the University of Toronto in the MBA programs. He taught Marketing Strategy and Service Quality. Dobri is a graduate of McGill University in Montreal and attended the Executive Development Program at Northeastern University in Boston. He was also on the Dean’s advisory counsel at Ryerson University. Since 1994, Barry has been a Partner of T.S.P.G. Prior to joining us, he was with a leading global financial services company where he provided his expertise in operations management, strategic planning, product development and marketing. He is a relentless advocate of the need for a customer-driven focus to guide organizational change. Barry works with organizations to help them sharpen their strategic focus and understand how customer expectations of product and service performance can be used to drive all aspects of the business. His lucid communication skills and analytical acumen lend additional strengths to his strong implementation and project management skills. Barry received a Master of Arts degree from York University and a Master of Business Administration degree from the University of Toronto.